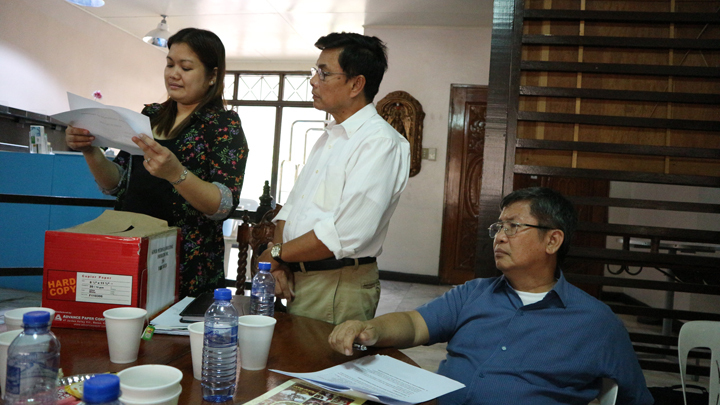 Last April 15, the Annual Board Meeting of Gawad Metronian Educational Foundation, Inc. [GMEFI] was held. Present were members of the 2015 Board of Trustees; proxies of the incorporators who are abroad, the new members, namely, Fr. Romy R. Gallo and Loida L. Morante; Lolit Javier who represented Jay Javier, Assistant to the Foundation Secretary; Virgilio B. Reoma, the new Executive Director replacing Annalissa Penullar who resigned to focus on her Masteral thesis; Liborio Tumang, the new Bookeeper, and Nina Padua, Administrative Assistant. Seven members of the Board of Trustees were elected through ballot voting: Evelyne M. Dominguez, PhD; Erlinda M. Dal’ag, PhD; Myrna R. Medina, Maria Aurora M. Villafuerte, Thelma Jadraque, Ramon M. Garcia, PhD., and Natividad Villano. From among all those who were present, the 2016 officers of GMEFI were elected via viva voce voting, as follows: Evelyne Dominguez, PhD – President; Fr. Romy R. Gallo – Vice- President; Maria Aurora M. Villafuerte – Secretary, and Ramon M. Garcia, PhD – Treasurer. Board of Trustees Member Natividad Villano was appointed by the re-elected President as Funds Campaign Head, while Myrna Medina was appointed as Community Educational Program Head. Ms. Villafuerte will have the double function of serving as Scholarship Program Head as well. Ms. Loida L. Morante was appointed in absentia as Marketing and Promotions Head. 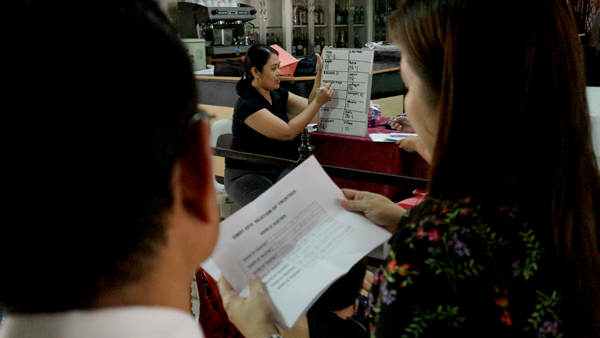 Prior to the election in the afternoon of April 15, some of the Foundation by-laws were discussed and amended. “GMEFI’s BEING,” an audiovisual presentation made by Mirana Medina was screened for the new comers to introduce them to the whys and wherefores of GMEFI — its goal, mission, vision, including GMEFI’s historical background. It also served as the President’s Annual Report. GMEFI Scholarships in Basic Education Course Available for Persons with Disability! APPLY NOW!